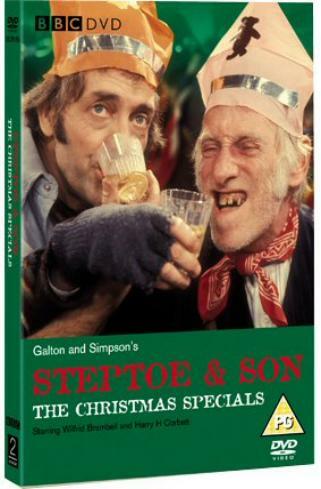 Massively popular, with audiences of over 20 million, Steptoe & Son was an obvious choice for the festive schedules, but this classic comedy had been running for over ten years before the first of the extended Christmas Specials appeared in 1973. A year later, writers Galton and Simpson had decided to bring the series to an end. The 1974 Christmas Special would be the final ever episode: a fitting end to a legendary series. Albert and Harold are busy making preparations for Christmas. Albert is putting up Christmas decorations while Harold is at the travel agents booking some sunny festive fun in Majorca. He's made all the necessary arrangements, however there is one last thing to do: tell Albert to pack his bags in preparation for a short stay at the local old people's home! Originally transmitted: 24/12/73 & 26/12/74 Due to the archive nature of the footage the sound and picture quality may vary occasionally.